This set may be purchased in bulk for 12.00 ea when a mixed style and or size minimum of 6 outfits is purchased. There are infant sizes 6mo qty 3, 12mo qty 2 and 18mo qty 2 left in this color/style. If interested in a bulk purchase of below wholesale clothes, please send an inquiry to support@dapperlads.com. From better brand manufacturer Sweet Kids. 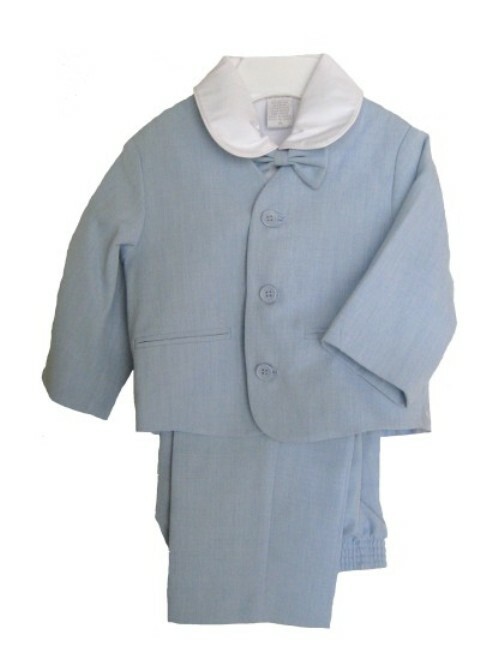 Light weight fully lined light blue eton jacket and long walking shorts. Note - The walking shorts usually do need to be hemmed. A 4 - piece suit. The white eton shirt is a short sleeve cotton-poly with a peter pan collar. 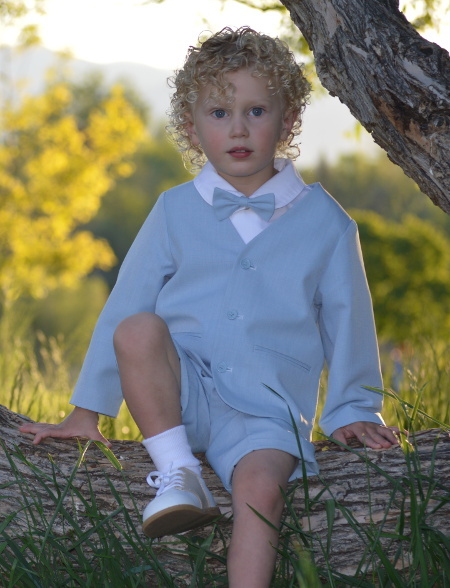 Included is a light blue banded bow tie. The walking shorts have an elastic waist. The suit is a poly blend. Really nice and a great price.